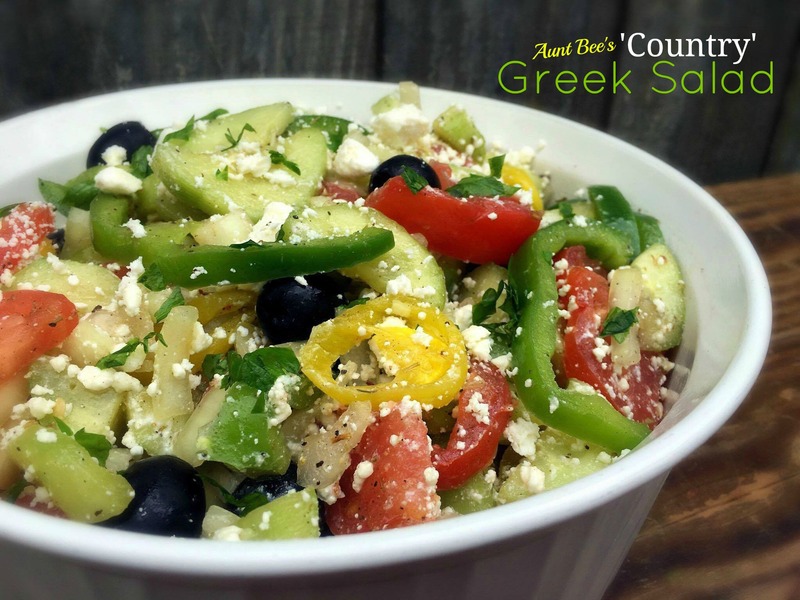 There is a restaurant near where my parents live that has a ‘Country’ Greek Salad on it’s menu and it has become one of my mom’s favorite dishes. So this past week she set out to try to recreate it and said hers was just as good as theirs if not better! The secret is the AMAZING dressing. I had MOST of the ingredients on hand, but had to make a grocery store run for the zucchini & feta. So I ended up making it Monday. She said it tasted best after it had a chance to marinade overnight, so we had it with our dinner Tuesday night. OH. MY. GOODNESS. this stuff is SO GOOD! I am going to be making this at least once a week. We served it with Greek Marinated Grilled Chicken (recipe coming later this week) & my Basic Rice Pilaf. This salad would be good with ANY grilled meat. 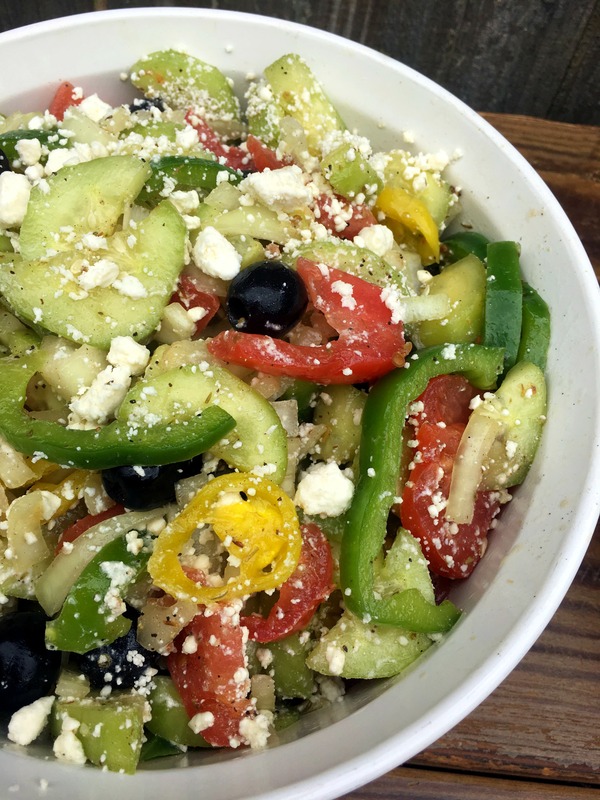 Combine veggies & cheese in a large bowl. Prepare dressing in a small bowl. Whisk it together and toss with vegetables. Cover and refrigerate overnight. Give it a quick stir every time you open the fridge to smell it LOL. Enjoy with your favorite grilled meat!